This hot, steaming, incredibly nutritious pot of 15-bean soup awaited me for lunch today. 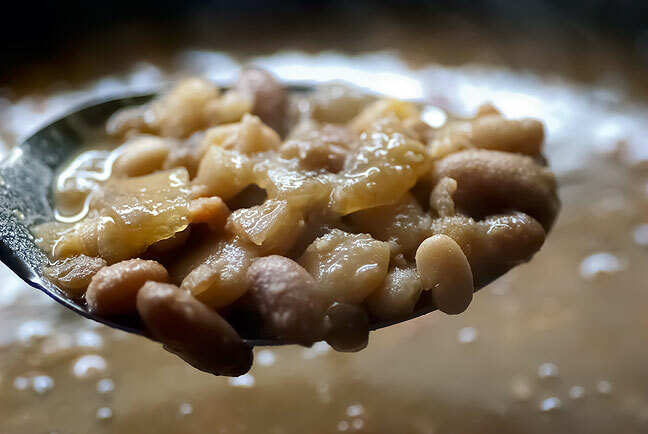 • My bean period appears to be continuing, as I made a crock of 15-bean soup last night. It cooked through the night, and I had some for lunch. It was amazing. • Abby and I have limited time and interest in television, but we added a show to our lexicon recently, Ultimate Survivor Alaska. You can click through and read about it, but here is the short version: four teams, Woodsmen, Mountaineers, Endurance Athletes, and Military compete by making their way across various portions of Alaskan wilderness. I can’t speak for my wife, but the main reason I find the show so engrossing is that I want to be there. 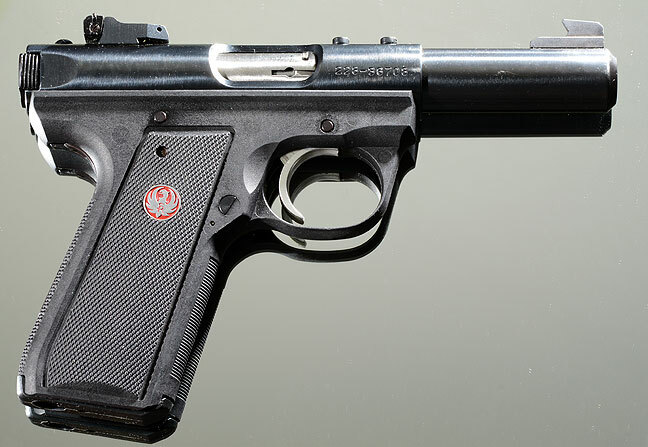 This is the excellent Ruger MkIII 22/45. • I took apart and cleaned my Ruger MkIII 22/45 last night. I consider this pistol one of my all-time favorites to shoot, but very much my least favorite to clean and reassemble. There are numerous internet instructions on how to accomplish reassembly. Last night I brought up a YouTube video detailing the process and followed it to the letter, and while it worked for the guy on the screen, who had the exact same pistol, it didn’t for me, and I had to add two extra steps. If you have this pistol, here is my advice: don’t be afraid to take it apart and clean it, but be prepared for a bit of frustration. • Finally, I am saddened to report the death of someone I knew and liked: Pete Haydu. He was Abby’s daughter Chele’s best friend’s husband. I only got to hang out with him a few times, but when I did, he seemed like a great guy. He died eight days ago after a battle with cancer. He was 44. 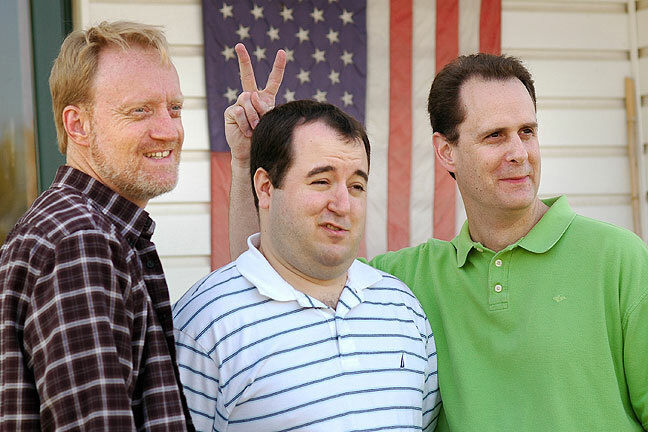 Pete (right) clowns around with Tom and me on a visit in 2007. Pete died last week after a battle with cancer. * Sorry to hear about the death of your acquaintance. My condolences to the family. * My Ruger. 22 was either identical or very close to the one you depict above. I really enjoyed it while I had it.